This knife has a Bohler M390 steel blade with a sabre grind and stonewash finish. 3D carbon fiber scales. 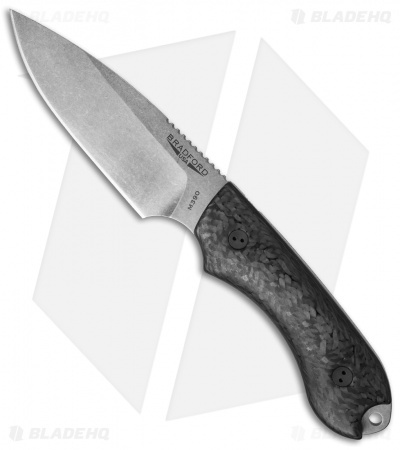 The Guardian4 joins the Bradford Knives lineup, offering a larger blade that is well-suited for camping and hiking activities. It shares the same design as the Guardian3 and is available in a false edge (swedge) or sabre grind, with several blade finish options. 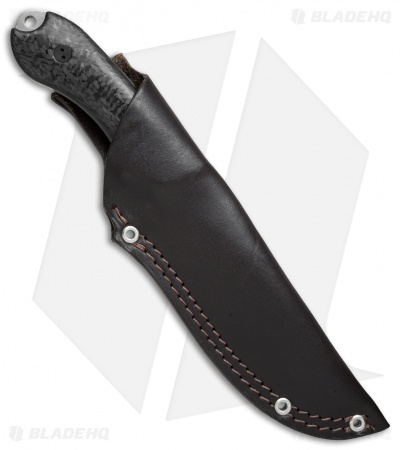 The choil is designed to easily strike a ferro rod and the handle has 3D carbon fiber scales (spanner #6 is required to remove scales). Each knife includes a premium leather sheath with a protective plastic blade insert and is set up for vertical carry. 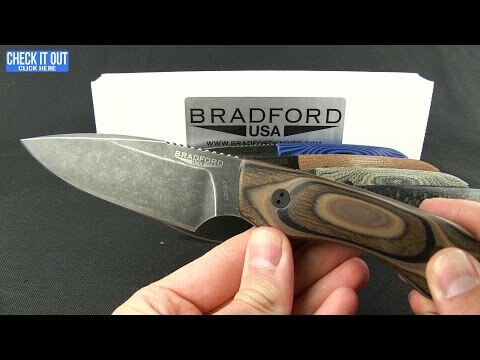 Bradford Knives are made in the Pacific Northwest, and while relatively new to the knife making scene Bradford is well-versed in machining and has a passion for knives that is seen in his finished product.